· Mr. Sharad Venkta, Managing Director & CEO of Toonz Retail, listed & felicitated as the “Most Influential Retail Leaders”. Wednesday, 17th February, 2017:Toonz Retail India Pvt. Ltd, a one-stop shop for all the needs and occasions of kids ageing 0-12 years, bagged 2 awards at the prestigious Asia Retail Congress at Asia-Africa-GCC Retail and Shopping Centre Conference and awards held at Taj Lands End, Mumbai. 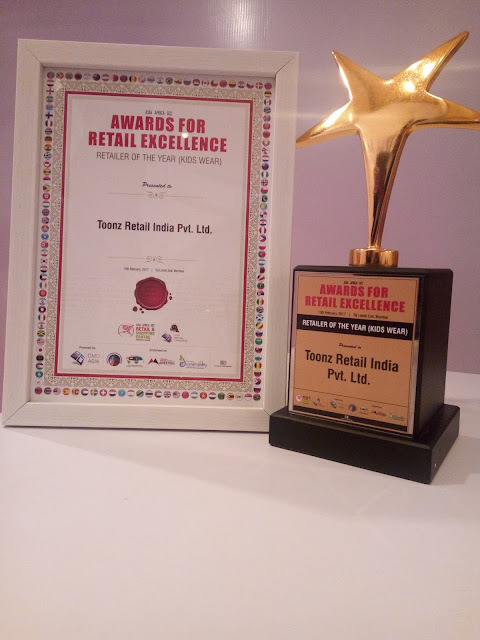 Toonz Retail which was launched in 2010 and within a short span has grown to be one of the largest players in the kids’ retail segment with more than 100 stores in India, won the award for “Retail Excellence -Retailer of the Year in kids category”. 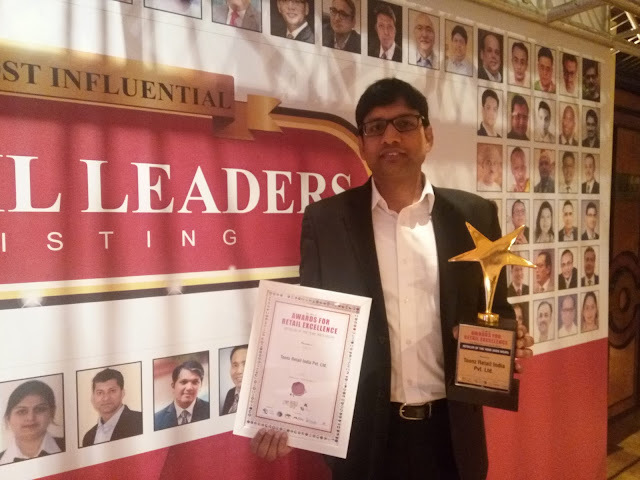 Mr. Sharad Venkta, Managing Director & CEO of Toonz Retail was listed & felicitated as the “Most Influential Retail Leaders” at the Award function. India's most successful retailers and brands across multiple categories in terms of business performance, customer experience, innovation and leadership in the retail sector were acknowledged at the Asia Retail Congress at Asia-Africa-GCC Retail and Shopping Centre Conference and awards. Commenting on this achievement Mr. Sharad Venkta, Managing Director & CEO – Toonz Retail India Pvt. Ltd. said, “It feels honored and privileged to have bagged two awards at the most recognized Retail forum. Toonz as an organization has been on a continuous growth trajectory even during the times of economic slowdown and tough competition. I think this Award is the result of hard work that each and every member of Toonz has put in over years to reach this stature. We are thankful to the Retail community for accepting us and recognizing our hard work. ”. Currently, Toonz has a PAN India presence with 106 stores and are looking at 200 stores by year end 2017-18. They entered the GCC region mid-last year and have already opened 2 stores in GCC and are looking at expanding its presence there to 10 stores by the end of 2017. Internationally Toonz home brands WOWMOM and Super Young are available in countries like Nepal, Mauritius, GCC, Fiji, and Papua New Guinea. Toonz Retail has also strengthened its presence in the e-commerce segment with its own web-portal www.toonz.in. Toonz apparel brands are also available on other ecommerce channels like Firstcry, Amazon and the likes. Toonz is looking at major expansions in 2017 to capture a larger share in the kids retail market with introduction of new categories and further expanding its product offerings and International presence. Toonz Retail India is a one-stop shop for all the needs of kids from 0-12 years of age. One of the largest players in the Kids retail segment in India, Toonz store comprises of exhaustive kid’s apparel collection, toys, strollers, walkers, car seats, baby care products, feeding accessories, nursery furniture, bedroom furniture, party wear, ethnic wear, casual wear, footwear and accessories. Toonz have association with world's best brands across categories giving Indian mothers and their kids an exclusive, international and innovative choice.